Motorists need not panic about Sanral's latest e-toll debt threat, says Outa. E-toll defaulters do not need to panic following the South African Roads Agency's (Sanral's) announcement that it will over the "next few days" officially send out summons to motorists who refuse to settle their e-toll debt. According to the Organisation Undoing Tax Abuse (Outa), since the Sanral announcement, the association has been inundated with queries from the public in that regard. "In response, Outa wishes to inform the public that they need not panic or become anxious about this latest development, as this is precisely what Sanral seeks to achieve by their recent statements," the organisation says in a statement. On Monday, the roads agency said the first set of civil summonses to individuals is being delivered by sheriffs in different jurisdictions in Gauteng. Earlier, Electronic Toll Collection (ETC), the company responsible for collecting e-toll payments, warned motorists not complying with the system should expect "intensified collection activity". Outa points out that at the outset, Sanral's media statement clearly indicated it intends to tackle the high-value corporate entities in the high court civil claim, which entertains debt in excess of R400 000. Civil claims of this nature, if properly defended, will take many months, if not years to bring to fruition, says Outa. What Sanral would like to have the public believe is that everyone will shortly receive a summons to appear in court, but this is not the case and is virtually impossible for it or the courts to do, Outa adds. "We believe this latest action by Sanral is being driven by two factors, the first being a need to demonstrate to the ratings agencies that they can and will take action, following two years of threatening to do so," says Wayne Duvenage, Outa chairperson. "Eventually, there comes a day when they would either have to drop the cause or decide to carry through with their threats. Sanral and the government have unwisely demonstrated their decision to press on with their failed scheme, which is akin to flogging a dead horse. "Secondly, it is our view that Sanral and their bosses have now lost sight of the wedge being driven between the state and its citizens by this grossly irrational decision. Such a serious step and action begs the question of what really lies behind the decision to forge ahead with such an unpopular and unsound scheme which has failed to garner the necessary support of society," Duvenage points out. 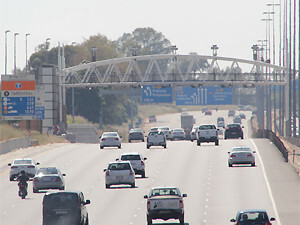 Outa wishes to raise to the public's attention that Sanral and ETC's decision to ring-fence all unpaid e-toll debt incurred before September 2015 - which totals more than R14 billion before the discount - and to pursue this collection through contracts with private debt collection companies such as ITC Business Administrators. The organisation says these well-connected debt collection companies stand to make large undisclosed amounts from all historic e-toll fees collected. These same debt collectors have business dealings and past associations with prior senior management at ETC, and will no doubt be earning a handsome revenue stream from the e-toll debt pot, it claims. Outa believes this to be one motivating factor for the renewed drive to create the heightened anxiety levels that will steer some of the public toward settling their e-toll debt. Additionally, says Outa, there are still the supplier companies to ETC and Sanral that are enjoying the fruits of the collections scheme from the 20% revenues being generated, despite the fact they cannot service the road construction debt from the e-toll process. "Outa commends the public on holding out and demonstrating to government and its agencies that they will not be bullied into compliance with an irrational and unjust scheme for the past two years," says Duvenage. Meanwhile, Justice Project South Africa (JPSA) says several factors could count against the roads agency if motorists do head to court. "If they lose one of the matters in court, that will be the end of e-tolls because they are going to have absolutely no way to force people to pay," says JPSA's Howard Dembovsky.